Say goodbye to boring science texts for K5 through 6th grade and hello to exciting science adventures! 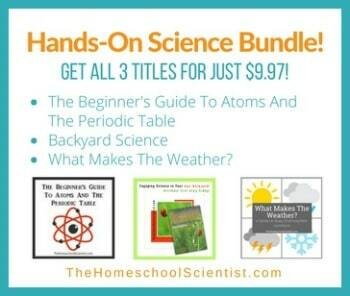 The Sassafras Science Adventure series brings science alive through living books with exciting story lines and . Your children will be roaming African grasslands, visiting an arctic laboratory, and exploring ancient tombs. All along the way, they’ll be learning science topics like zoology, anatomy, and botany (with more coming soon!). You can read these adventure novels alone or add the the activity guide, logbook, or lapbooking guide to create full science curriculum. A correlating experiment kit is even available! What do parents think about Sassafras Science Adventures? How many times has a book series or curriculum looked really good to you, but you really wanted someone else’s opinion? Here’s what other parents are saying about Sassafras Science Adventures. Visit SassafrasScience.com for lots more information about the Sassafras Adventures series and curriculum. Follow Sassafras Science Adventures on Facebook and Pinterest. Check out the Sassafras Science Adventures YouTube channel. Get great information at the Sassafras Science Adventures blog.